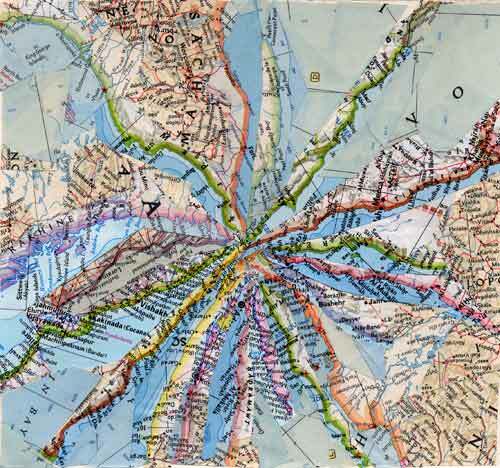 Numerous pieces involving the manipulation of documented space in maps. Sea Level, 1997. 48 in x 48 in., maps. Projection #2, 1998. 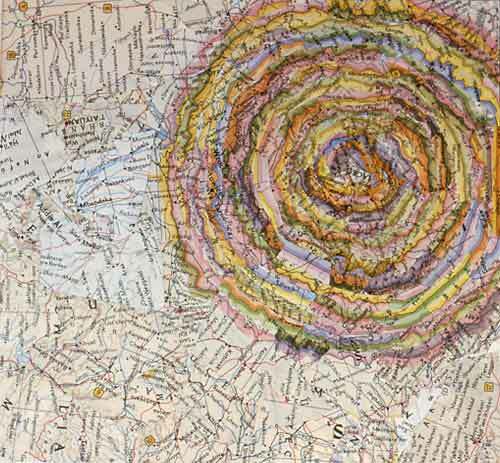 30 in x 42 in., maps. 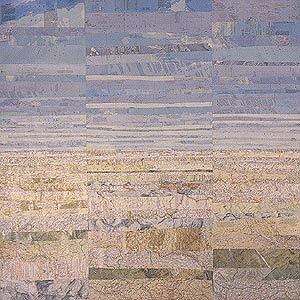 Collapsed Borders #21, 2000. 7 x 7.5 in., maps. 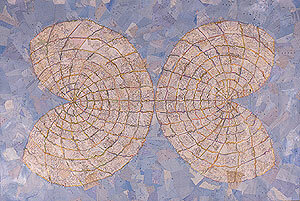 Collapsed Borders #33, 2001. 7 x 7.5 in., maps.